← First Case Filed Against Russia in WTO — Russian Recycling Fees on Auto Imports Challenged by the EU. 19th Century Unequal Treaties and Chinese Foreign Policy Today — Time to Get Over Them. 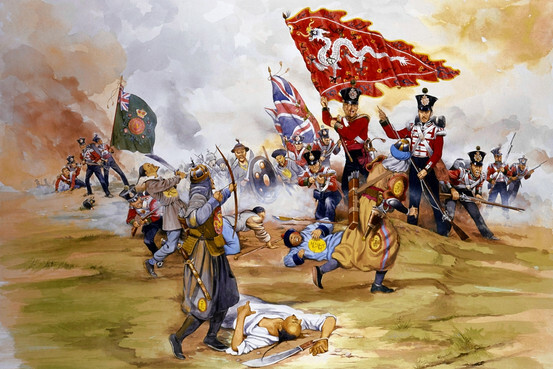 For China today its historical narrative is one of national humiliation at the imposition of “unequal treaties” by European powers throughout 19th century and continuing into the early 20th century. Under today’s international legal standards imposition of such treaties by aggressive military force is clearly illegal. So the problem is how can China view its current global position while taking account of the repudiated European practices of the 19th century. The success of future Chinese foreign policy is at stake. There is really no easy answer. But there is an answer. Just as repudiated slavery dominated western societies in the 19th century, we in the United States are still grappling with its lingering consequences. But Americans by-and-large always look forward as a society. Developing one that is based on rules and laws and the notion of equality. So it is primarily a psychological issue for China and its leadership. China needs to look forward, not backwards, while developing its own domestic rules and laws and immersing itself in the global order. It is in the national interest of China to conform to the global rules and to be pro-active in developing them. This balancing of “wealth and power” or “rich nation and strong military” with a dose of developing a harmonious global system, based upon Confucian concepts, is in everyone’s interest. This approach should be at the core of Chinese foreign-policy decision-making in the 21st century. It is to the advantage of both the U.S. and China that they look toward the future together to build a peaceful, international rules-based system. A future that provides national equality and a means of managing international disputes involving global trade, maritime and territorial issues, among others. Many of which are based upon now highly questionable historical actions of states decades ago. … “A Rising China Needs a New National Story.” Wall Street Journal (July 13, 2013). … Stuart Malawer, Imposed Treaties (William S. Hein and Co., 1977). … Stuart Malawer, “Unequal Treaties and Illegality,” New York Times (1983). “The Rise and Rebirth of Chinese Realpolitik.” Financial Times (July 15, 2013). This entry was posted in Global Trade Relations and tagged 19th century unequal treaties and China in the 21st century, China and the U.S. historical background, China foreign policy and international law, Chinese unequal treaties and U.S. slavery, imposed treaties, Malawer and imposed treaties, unequal treaies, unequal treaties and China. Bookmark the permalink.